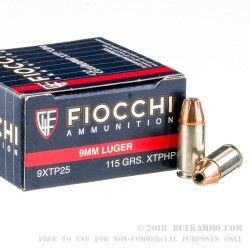 These Fiocchi cartridges in 9mm Luger come in a bulk priced case of 500 that makes them great for both training and carry. 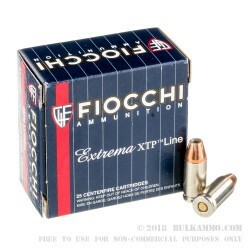 Each round comes in a box of 50 (with 10 boxes to a case) and fires a 115 grain Hornady XTP jacketed hollow point bullet at a muzzle velocity of 1,160 feet per second. This is a standard pressure load that produces relatively low recoil and will remain controllable even in subcompact handguns like the Springfield XDs, Ruger LC9, SIG P938, and Glock 43. 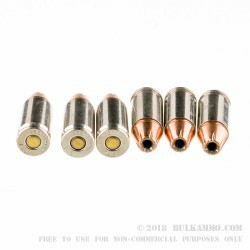 Hornady XTP hollow points are a widely used self-defense load due to their strong penetration, which (along with expansion) is an essential component of stopping an assailant quickly and decisively. 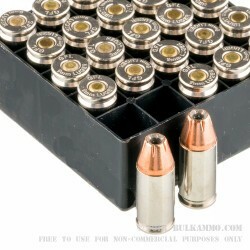 This ammo is loaded in Ozark, Missouri using non-corrosive Boxer primers and reloadable brass cases. These are a real bargain and it has made me more aware of the fact that this is in fact we're you can purchase Ammo at a reasonable price!